We have developed brands for some of the biggest organisations in the UK helping charities and corporates build reputation, trust and influence. We bring charity brands to life. We like nothing more than helping you tackle your trickiest brand strategy and content challenges, and getting your people on board while we do it. Whether it is a simple brochure design or online campaign, or a complete rebrand and repositioning we can help you differentiate your organisation from your competitors. Because we are charity brand specialists we know your sector and what it takes to say the right things to the right people at the right time. Who you are, what you stand for, why you matter, sharpened and made visible to the world, engaging and inspiring your key audiences are all key to successful brand building. We work with you to create a powerful and authentic brand, whether we are building your brand from scratch or refining your existing one. Working alongside you, we find what’s at the heart of your organisation. We refine the vision and values that underpin your reason for being, and then we make them vivid, real and distinctive. We look at your products and services, your teams and your environments to make sure all elements are delivering on your brand promise. Our track record of building powerful, authentic and emotionally engaging brands backed up by a solid brand strategy speaks for itself. 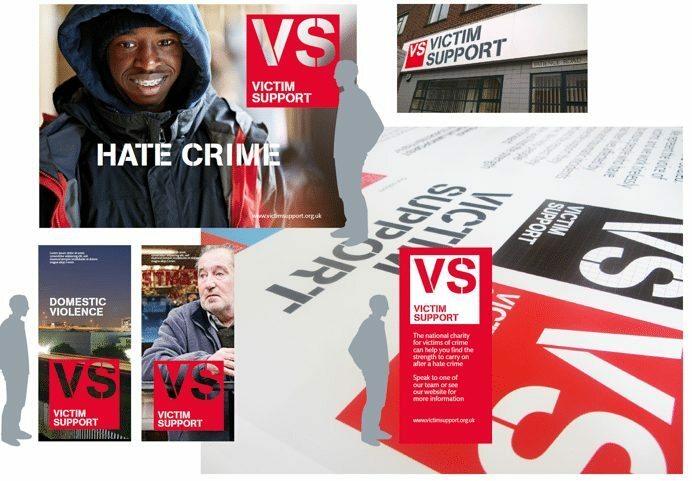 Our team have worked with some of the biggest organisations in the UK charity sector including Victim Support and VSO. Of course it’s not all about the creative, working with internal teams to develop a solid brand strategy and embed your brand in the organisation means that at the end of the project the brand is truly part of the DNA of the organisation, giving you the perfect platform to build your strategy on. Once we have launched the brand our experienced marketing team will work on getting your message out there, understanding and reaching your target markets with clear and consistent content that works across all channels, We will support you to develop effective and measurable marketing strategies that will motivate your audiences to take action. Brand architecture and partner brands.